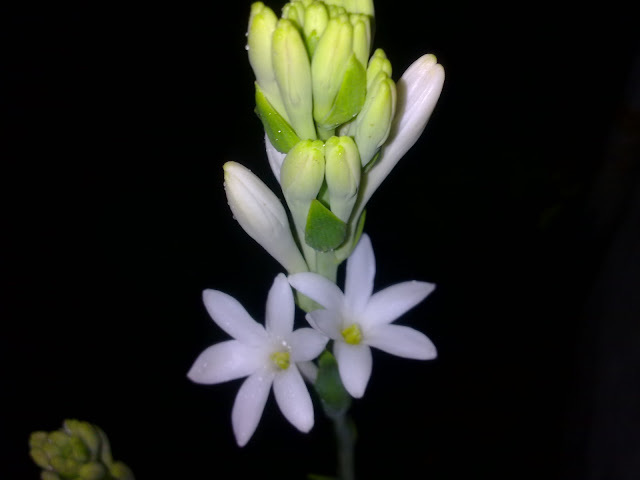 A mexican tuberose, with the cluster of buds on the top of it's stem. Though, we got this plant more than 6 years ago, too, I didn't had an opportunity, to see it blooming for myself. 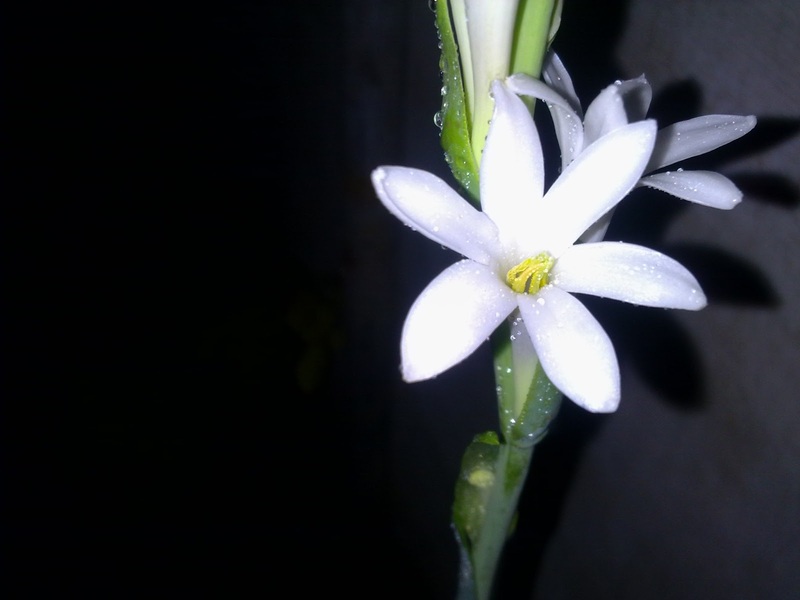 After a long wait, (five years at my aunt's home), I got a few bulbs again, and this was the very first pair of my Rajnigandha flower. Though, I had seen these earlier, as cut flowers in bouquets, and in decorations, in marriages and other occasions, I didn't realize that it's such a beauty to look up so close and it's scent, particularly, was really mesmerizing. Though, it's a perinneal, it does bloom only in the rainy season, (in India during July and August), though, this time, I have one blooming right now for about a month now, in January, and even in February. I particularly, like it's long stems and the clusters of buds up there on each stem, which bloom from bottom towards up, with each flower lasting somewhere between one to three days. The Mexican Tuberose (Rajnigandha). One of the first inhabitants of my small rooftop garden. The very first bloom.